The Irish land-Border remains a major sticking point is advancing the Brexit negotiations. In this article, Dr Graham Gudgin, former Special Advisor to the First Minister in Northern Ireland, outlines how far talks have progressed on this issue and what remains to be decided. His conclusion is that the Irish Government and the EU have exaggerated the scale of the issue for political purposes. Close to two years after the referendum, talks on trade talks have yet to start. Ominously there has been a public falling out between David Davis and the UK’s chief negotiator Olly Robbins. Davis plans to send a large team of trade negotiators to Brussels to push progress forward. Robbins says that the EU will not talk to them. The EU are insisting on signing off on their draft Withdrawal Agreement of February 28th. The ‘coloured in’ version of this this draft Agreement on March 19th showed that much was agreed but important areas of disagreement remain, the most intractable of which was the Irish border. The Irish border thus remains the key battleground in the war of attrition that is the UK-EU Brexit talks. Negotiations continue in Brussels with a hope that progress can be made before the EU Council of Minister’s meeting on 28th June, but reports suggest that few meetings have actually taken place. Meanwhile, EU Council President Donald Tusk affirmed in his Dublin speech of April 10th that the border issue remains at the centre of his attention over Brexit, an issue which still makes him ‘very angry’. The two side remain far apart. The EU draft demands that Northern Ireland remains within the EU customs union. Although the Draft Agreement does not say so, this implies that there would be a customs border between Northern Ireland and the rest of the UK, something that was explicitly ruled out in the Joint EU-UK progress Report of December 2017 on which the Withdrawal Agreement is supposed to be based. Theresa May rejected this demand within hours of it being issued, saying that no UK prime minister could agree to such a proposal. The UK have instead submitted two proposals on the border, both harking back to the UK position paper of August 2017. At the time, EU Commission President Jean-Claude Juncker, dismissed the UK proposals as ‘magical thinking’, but they are now back on the table. The UK Government has promised all along that there will be no hard border and has explained that this means ‘no physical infrastructure at the Irish border’ (e.g. Philip Hammond on ITV’s Peston on Sunday, March 11th). The Joint UK-EU Progress Report of December 9th 2017 outlined how this would achieved. Firstly, the UK Government proposed that a hard border would be avoided through ‘the overall EU-UK relationship’ (presumably an augmented free-trade agreement). Should this not be possible, the United Kingdom would propose specific solutions to address the unique circumstances of the island of Ireland (presumably the electronic and administrative arrangement outlined in the UK’s Position paper on the Irish border). Finally, in the absence of agreed solutions, the United Kingdom will ‘maintain full alignment with those rules of the Internal Market and the Customs Union which, now or in the future, support North-South cooperation, the all- island economy and the protection of the 1998 Agreement’. All of this was in the context that ‘In all circumstances, the United Kingdom will continue to ensure the same unfettered access for Northern Ireland’s businesses to the whole of the United Kingdom internal market’, i.e. No border between Northern Ireland and Great Britain. A common regulatory area comprising the Union and …. Northern Ireland is hereby established. The common regulatory area shall constitute an area without internal borders in which the free movement of goods is ensured. The territory of Northern Ireland, …. shall be considered to be part of the customs territory of the Union. Customs duties on imports and exports, and any charges having equivalent effect, shall be prohibited between the Union and Northern Ireland. The provisions of Union law governing wholesale electricity markets …shall apply to and in the United Kingdom in respect of Northern Ireland. The provisions of Union law on state aids shall apply in Northern Ireland for aid affecting trade with the EU. It was hardly an exaggeration when sections of the British media described this as an EU proposal to annex Northern Ireland. It was certainly an attempt to ease Northern Ireland into a semi-detached status within the UK. Of course, all of this was anathema to the UK government and its DUP allies, leading to its swift rejection This raises the question of why a Withdrawal Agreement should have been published by the EU when it must have known that this be precisely the UK reaction. These proposals were what US Forces term DOA, or dead on arrival, but the EU and the Irish government continue to insist that they were only a legally clear interpretation of what had been agreed in December’s Progress report. Such tactics reveal the nature of the EU, or at least the Commission, and have persuaded many who voted remain to change their view. Despite EU and Irish protestations, it is safe to regard these proposals as a hopeless over-reach. There is no prospect of Northern Ireland remaining in the EU Customs Union while the rest of the UK follows UK Government policy and leaves. Nor is there any prospect of the EU border for all goods moving to the Irish Sea between Northern Ireland and GB as these proposals clearly imply. Indeed, this is a clear and direct contradiction of the undertaking made in paragraph 50 of last December’s Joint Progress Report. A streamlined electronic border eliminating the need for most border checks for commerce. (The Common Travel Area for people is already agreed and means no individuals need be stopped, although we should note that buses are currently stopped when intelligence indicates illegal immigrants or unlawful activity). A wider ‘customs partnership plan’, termed ‘audacious’ by the Financial Times. This involves tracking all imports to the UK and applying EU or UK tariffs as necessary depending on final destination. As far as the Irish Border is concerned this would seem to be a proposal to deal with the issue of ‘import content’ i.e. cases where imports from third countries are lightly processed in the UK and re-exported to the EU potentially avoiding higher tariff duties. The revival of belief in the feasibility of electronic border arrangements is based on a report on the use of electronic customs clearing and border checks commissioned by the Constitutional Affairs Committee (AFCO) of the European Parliament and undertaken by the EU Commission’s Directorate General for Internal Policies. This report has not been adopted as an official policy paper of the EU but it is authoritative because the report’s author, Lars Karlsson, is former Director of World Customs Organization, and Deputy Director General of Swedish Customs and because it offers advice to the EU Parliament from within the EU itself.. The report is entitled ‘Smart Border 2.0 Avoiding a hard border on the island of Ireland for Customs control and the free movement of persons’. The UK Government has asserted all along that a virtually frictionless border can be attained with modern technology. Since around 98% of all customs clearances are electronic in advanced economies this is a reasonable proposition. In practice, containers are opened only when intelligence indicates illegal activity. For instance, in the port of Bristol only two containers have been opened in each of the last two years. Karlsson’s view is that new technology can go beyond anything currently in use at existing borders, to avoid the need for border infrastructure, and could provide a guide to best practice throughout the EU. Standards and best practices such as domestic and cross-border coordinated border management as well as trusted trader and trusted traveller programs can significantly reduce compliance requirements and make borders almost friction free. Customs and other border control practices that keep the border open, such as release before clearance, deferred duty payments and clearance away from the border, also help keep the border free of traffic and speed up or even remove the need for processing. Technologies such as automatic number plate recognition, enhanced driver s licenses, barcode scanning and the use of smartphone apps can also have a significant impact by reducing paperwork and allowing pre- or on-arrival release, which can reduce or even eliminate the need to stop or undergo checks. “ I thought I ought to take it [the Smart Border 2.0 report] seriously because I heard it advocated on the ‘Today’ programme by one of the self-titled “brains for Brexit” who gave a whole interview about the importance and value of this report. So I read it, and the first thing he says is that he does not know very much about Ireland. You can say that again. He goes on to point out that the report does not cover agri-food or things such as as phytosanitary standards, and says that while he talks about how you can speed up customs arrangements, he does not remotely suggest that you do without a border or customs arrangements”. Leaving aside the personal jibe, unfortunately characteristic in remainer arguments (our group never have, nor ever would, styled ourselves ‘brains for Brexit’), this dismissal of the report is wrong. I can find no mention in the report of not knowing much about Ireland. The report is full of facts and figures about Ireland. Nor does the report obviously exclude agri-food or phytosanitary standards as Patton suggests. The placing of border controls inside vehicles seems a good solution for the particular circumstances of the Irish border. There are only around 5-6,000 border crossings per day by HGVs and half of these are on a single road. 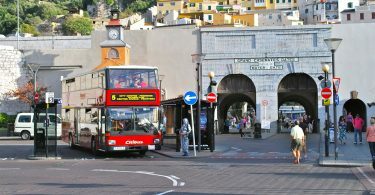 Many of the crossings are in vehicles belonging to major companies like Guinness or Coca Cola bottlers and involve repeat crossings. There is little obvious need to stop or check such vehicles. The problem is greater for small companies and vans, but here the UK has proposed an exemption from checks and it is up to the EU to reciprocate. Bizarrely, the Joint Progress Report and the Draft Withdrawal Agreement make no explicit mention of free-trade agreements or tariffs. The absence of tariffs is an important component of a friction-free border, since without new tariffs there is no additional incentive for smuggling. Of course, there is smuggling at present, since excise duties differ between Northern Ireland and the Republic of Ireland. Since the existing smuggling has not necessitated customs infrastructure, a future with free-trade would also not need to do so. It seems overwhelmingly likely that an FTA will be agreed between the EU and UK, and EU demands for a friction-free Irish border put the onus on them to ensure an FTA is signed. It can also be noted that the EU country with most to gain from an FTA is the Republic of Ireland. In a rational world the advantages of an FTA for the Irish border might occupy centre stage, but the EU has preferred to keep trade off the agenda until the last possible moment for political advantage. The EU and the Irish Government have instead focused heavily on the post-Brexit alignment of commercial regulations. 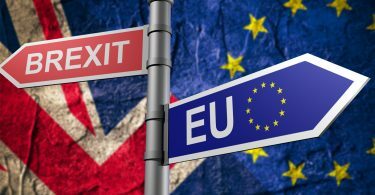 Even though all regulations all currently fully aligned (since the UK is an EU member), the EU fears future drift towards differing regulatory regimes. The EU’s biggest fear is ‘a Hong Kong in the North Sea’ with the UK becoming super-competitive with a low level of business or labour regulations. UK Government ministers have made it clear that this will not happen, and it is by any measure an implausible scenario even if a few right-wing Tory MPs advocate it. At the Irish land Border, there is however a case for continued alignment of animal health and food safety standards. It is unlikely that standards will diverge substantially in future and hence that the EU can regard UK standards as ‘equivalent’ to their own. As a fall-back it may not be unreasonable to regard the whole island as a single regulatory regime, implying checks on animals and fresh produce at the Irish sea coming into Northern Ireland. Ulster unionists are rightly concerned at any attempt to drive wedges between Northern Ireland and GB, but in this case there are few important constitutional issues. Such checks have been applied in the past during animal health epidemics and could occasionally be used in future. 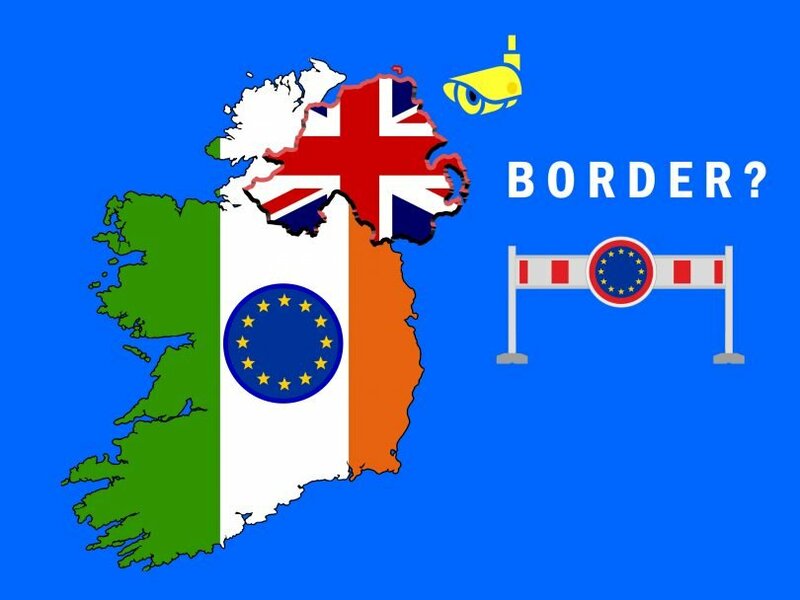 The give-away in the debate over the Irish border is how little interest the EU, Irish Government and UK Remainers have in exploring the Smart Border or FTA options. A constructive approach would be to explore the options in a co-operative fashion and to decide what can or cannot reasonably be adopted. This is never suggested, and we must conclude that the blanket dismissal of technological options is being used for wider political purposes. What these purposes are is open to conjecture, but they most obviously include attempts to keep the UK within the Customs Union or a desire to move Northern Ireland party in the direction of the united Ireland that senior Irish politicians have recently advocated. A more co-operative approach could have been adopted. Indeed, co-operation was much more in evidence under the premiership of the previous Irish Taoiseach (Prime Minister) Enda Kenny up to mid-2017. Under the current Taoiseach, Leo Varadkar, much co-operation has ceased. Work by Irish civil servants on an electronic border was cancelled, and meetings between civil servants in Ireland and Northern Ireland were stopped. Kenny’s regular briefings for Northern Ireland First Minister Arlene Foster also ceased, even though the two knew each other well. This hard stance by the irish Government has soured UK-Irish relations and it is time to return to practical collaboration.